Selvaraghavan-Simbu's 'Kaan' shelved for Dhanush? 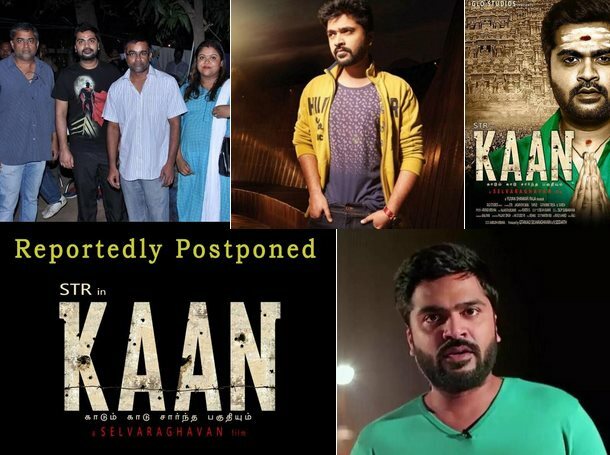 Home » Dhanush | Kaan | Selvaragavan | Simbu | » Selvaraghavan-Simbu's 'Kaan' shelved for Dhanush? Filmmaker Selvaraghavan's ambitious Tamil project "Kaan" has hit a roadblock and if the industry grapevine is anything to go by, the makers are planning to shelve it due to financial issues. Starring Simbu, Taapsee Pannu and Jagapathi Babu in the lead, the film was launched a few months ago and the team even shot for a few days. "The first schedule was wrapped up successfully. But the team couldn't resume shooting as the funds that were promised didn't come through. The delay has forced the actors to move on to other commitments," a source told. The film was said to be an investigative thriller. Taapsee was to don the khaki for the first time in her career. Unsure about the fate of the project, its director Selvaraghavan is reportedly planning a film with his brother Dhanush. Sources say that Dhanush is the main man behind the sudden halt in the shooting of the film, as he had confronted his brother (Selvaraghavan) about why he went ahead to make a film with his direct competitor STR. Dhanush is said to have asked Selvaraghavan to quickly prepare a script for him, giving him the green signal and freedom to ask for dates. It remains a question as to whether Dhanush will work with Selvaraghavan soon as the actor already has his hands full with Durai Senthil kumar’s and Vetrimaaran’s project. Time, will give us clarity. "Kaan as a script is very close to my heart and is also an ambitious project the team and i want to do justice to our vision. The team and I have taken a mutual call to temporary put the project on hold . It’s great to know that we all share the same vision. We will resume the project next year once we have restructured the finances. In the meantime I will miss working with Simbu and the crew", wrote Selva on his micro-blogging page. We hope the film resumes next year!